Bruce Hathcock brings valuable and intriguing experiences from Los Angeles to his role as one of the new barbering teachers at Sydney TAFE. You have two barber shops with your brother in LA and one here in Hurlstone Park. How did you get started? My brother ‘Goose’ worked for a barbershop called Superstar Hair Unlimited in Los Angeles in 1997. I went in for an edge up of my dreadlocks and was offered a barber job on the spot. I declined, but a year later I accepted. They taught me barbering from scratch. Years later, a client who was a hairdressers and was also doing well selling real estate so wanted to sell up. He sold it to Goose on a good deal. The problem with it was that its décor was pink and black, not the most appropriate colours for a barbershop. We decided to take a few months to renovate but when our employers got wind of what was happening, our employment ceased – effective immediately. A client offered to help paint it, so after a lick of paint we were open for business and we kept improving it from there. Next we moved to larger premises with the business growing from six to nine barbers and eventually to 15. When I visited Sydney eight years ago I just loved the place and eventually moved here three years ago. That’s when I set up Legends – The Barbershop in Hurlstone Park. Barbering in Australia is seeing a resurgence of epic proportions. Is it the same in the US or has barbering always remained a busy separate sector? In the US, barbering was always around but the sector was affected by fashion trends and waves of intrigue. Phases of long hair and braid trends were terrible for us. In Australia, men can have their hair done in hairdressing salons but this is not so much the case in LA. Barbering is viewed with a separate set of techniques, procedures and standards. Why did you choose Sydney to set up your next barbershop? Sydney is a progressive, open minded city and I really liked the fact that people like to try new things here. I was going to move to Sydney anyway and really thought about getting out of barbering. Then I realised that there was opportunity here, as eight years ago there weren’t a lot of barbershops and the trend had not yet set in. It was the perfect place to expand our Legends brand. 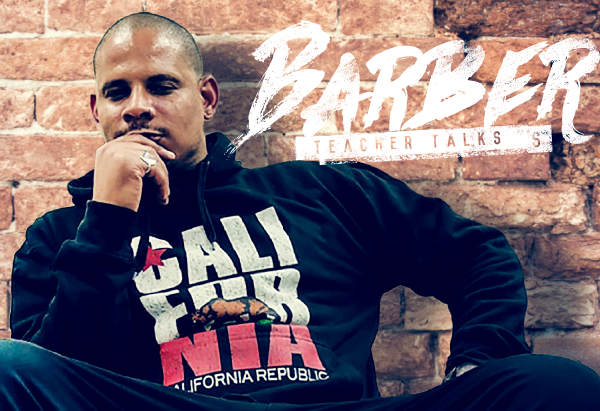 What made you decide to get involved in barbering education? There are good barbers in Australia but there is great potential for so many more. I mean in all aspects – in techniques, tools and sanitation. The reason I wanted to become a teacher at TAFE was because I wanted to express gratitude and share the techniques I’ve learned so far. Also, being a part of a new program focusing specifically on barbering is something I was attracted to doing. Helping people build dedicated barbering skills is a great and rewarding opportunity. Next post Are Superhero Movies Dead?